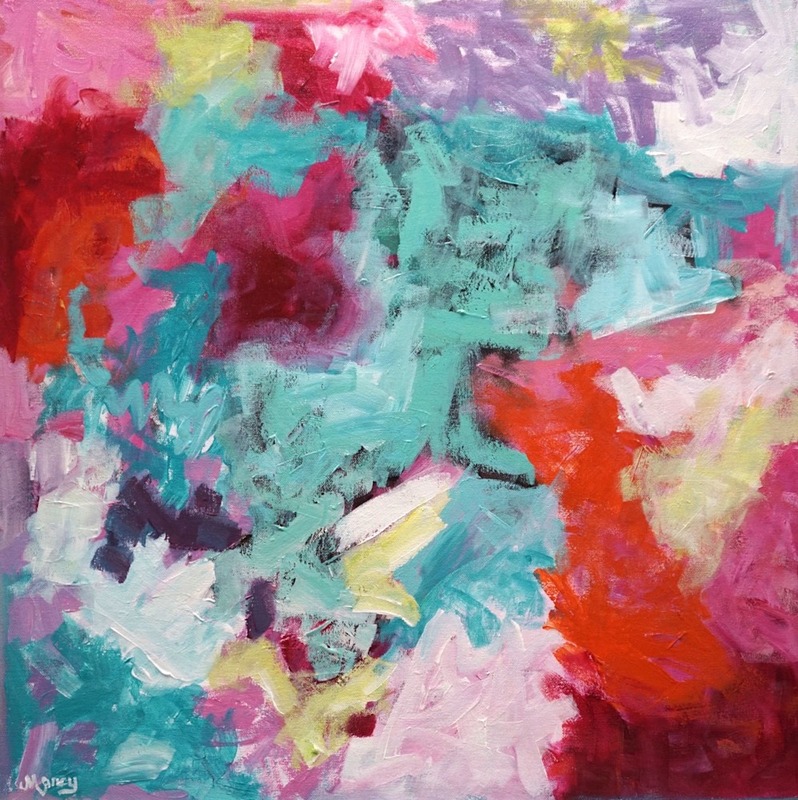 This fun and colorful abstract acrylic painting is perfect for a wall needing a burst of of color and energy! It has multiple layers of paint and lots of energetic brush strokes. I'm a huge music lover and listening to my favorite music puts me in a wonderful mood. I think my Fiesta paintings show what a great time I had painting them! This painting is on a 1.5" deep gallery wrap canvas with the edges painted white. It is wired and ready to hang. Free shipping!